How can Windies qualify for the World Cup, which will be held in the United Kingdom from 30 May to 15 July? Very rarely does a result of a game of a bilateral series affect three sides. That is what happened in Manchester on Tuesday. An England win helped Sri Lanka gain direct qualification to the 2019 World Cup, while the West Indies would now be forced to play the qualifiers in 2018. It's been a while since West Indies cricket has lost its sheen. The overall inconsistency has been so much that it easily eclipses the away Test wins or the World T20 triumphs. The 1975 and 1979 World Champions now stare at a new low of competing in the qualifier to qualify for the World Cup. 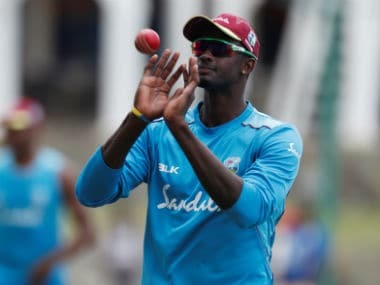 Jason Holder's men also failed to qualify for the Champions Trophy earlier this year, whereas Bangladesh, the team that replaced them in the event, made it to the semis. But since then, there have been a few changes in Caribbean cricket. Most notably, Cricket West Indies (CWI) has softened its stance on selection and offered an amnesty to its players. As a result of that development, Chris Gayle and Marlon Samuels returned to the T20I and ODI squad for the ongoing series against England. 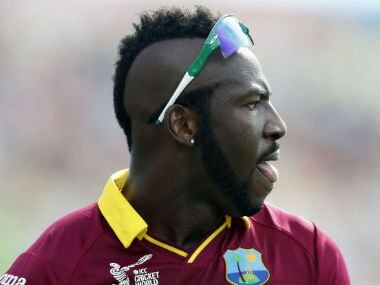 In future, the likes of Kieron Pollard, Dwayne Bravo and other T20 stars might also play for the Windies. However, the road ahead will be challenging for the Windies and although there is still time for qualifiers, they must start planning about it advance. Holder also acknowledged it and said, "There’s definitely work to be done (in the future) but we’ve just got to focus on this series first. We’ve got to pick ourselves up and head back to Trent Bridge in two days time (for the second ODI)." 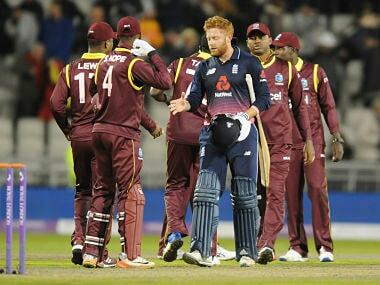 So, how can the Windies qualify for the World Cup, which will be held in the United Kingdom from 30 May to 15 July? Holder and Co will have to take part in the ICC Cricket World Cup qualifiers set to be held in March 2018. Though the venue is yet to be decided, there have been strong signs that Zimbabwe might be the host. Windies will be joined by Afghanistan, Zimbabwe and Ireland — the bottom three sides. Along with them, the top four sides of the ICC World Cricket League Championship and the top two sides from ICC World Cricket League Division 2 will feature in the tournament. It will be a round-robin event followed by semis, which effectively would be straight play-offs. Only the two finalists will advance to the main tournament. With Afghanistan improving and Zimbabwe rediscovering themselves (read: recent series win in Sri Lanka and Brendan Taylor's comeback), Windies will have to be on their toes despite the return of big names. They simply cannot afford a slip up there. But the team seem positive about the challenge. As Toby Radford, Windies' batting coach told reporters, "You always know there's the potential of that (not gaining direct qualification for World Cup) we knew it was going to be a tough ask. But we are very positive as a group and are trying to develop in all formats. If it means the qualifiers next year, it means the qualifiers next year and we'll build our way back up."